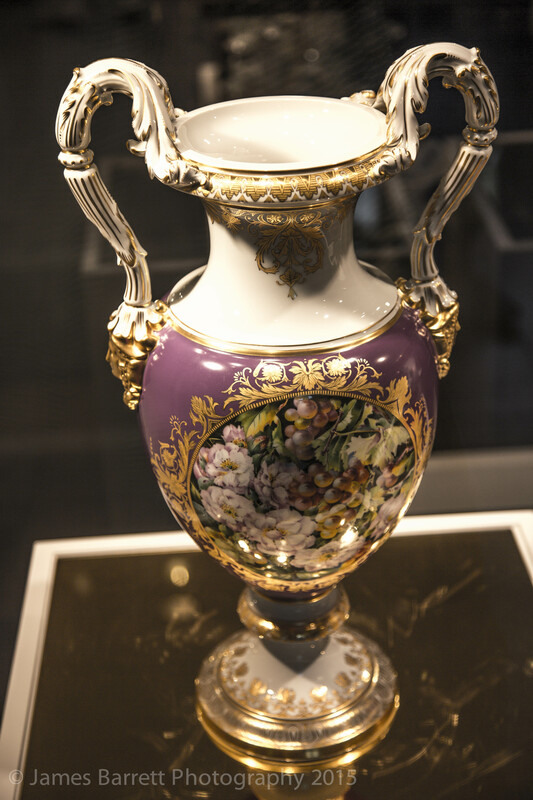 When one hears of Meissen, one thinks first of porcelain https://en.wikipedia.org/wiki/Porcelain. 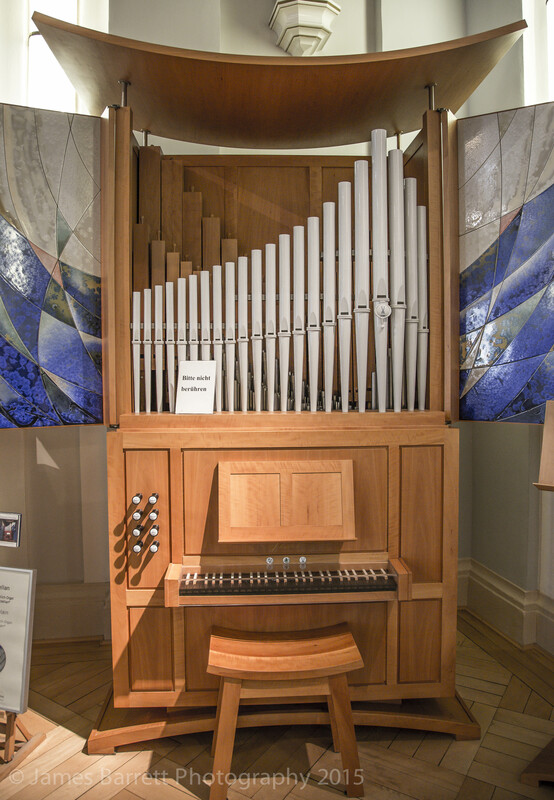 And indeed, one can tour the the manufacturing plant and a museum – with gift shop – to see demonstrations of the processes that result in this fine product. 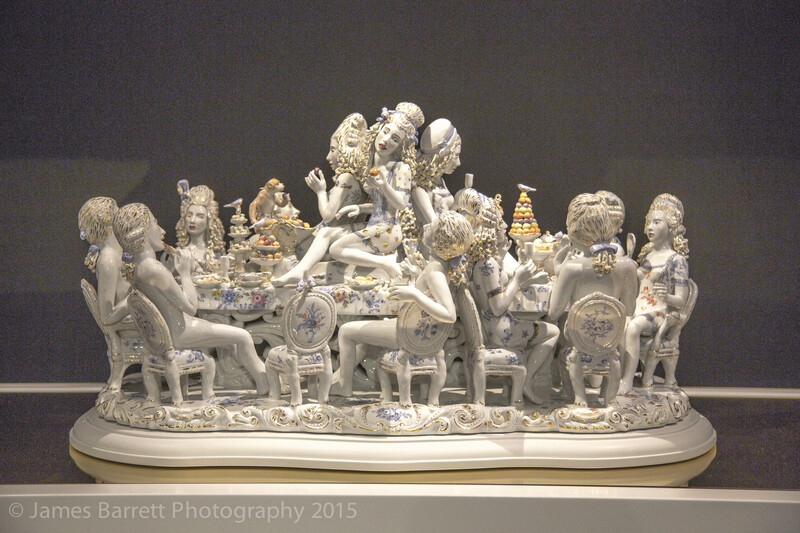 But Meissen is only a recent snapshot in the history of porcelain. Evidence of the earliest porcelain has been found in Zhejiang province of China dating back to about 1000BC. The primary ingredients are Kaolin https://en.wikipedia.org/wiki/Kaolinite, Feldspar, and Quartz. https://en.wikipedia.org/wiki/Chinese_ceramics. Deposits of Kaolinite are found near Augusta and Macon GA that are thought to have been formed between 100 to 45 million years ago. Uses for this substance other than ceramics are producing glossy paper, toothpaste, lightbulbs, and cosmetics. The Chinese were the earliest to fashion ceramic vessels, and so much Chinese porcelain was exported in great quantities to Europe and elsewhere that these articles have become known as china. Early in the eighteenth century, Johann Bottger represented that he had solved the alchemists’ dream to transform worthless materials into gold. 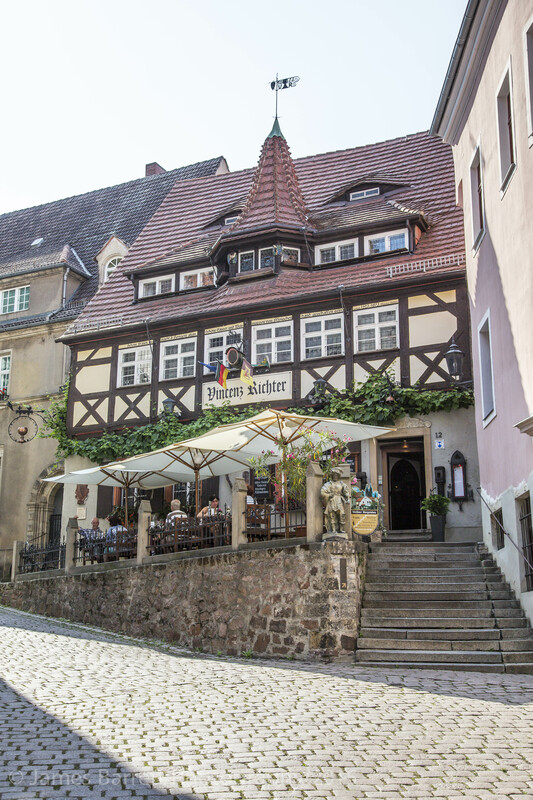 Bottger was sequestered at Koenigstein Fortress ( see Saxson Switzerland page ) by King Augustus II of Poland for the purpose of controlling gold production which, however, never materialized. 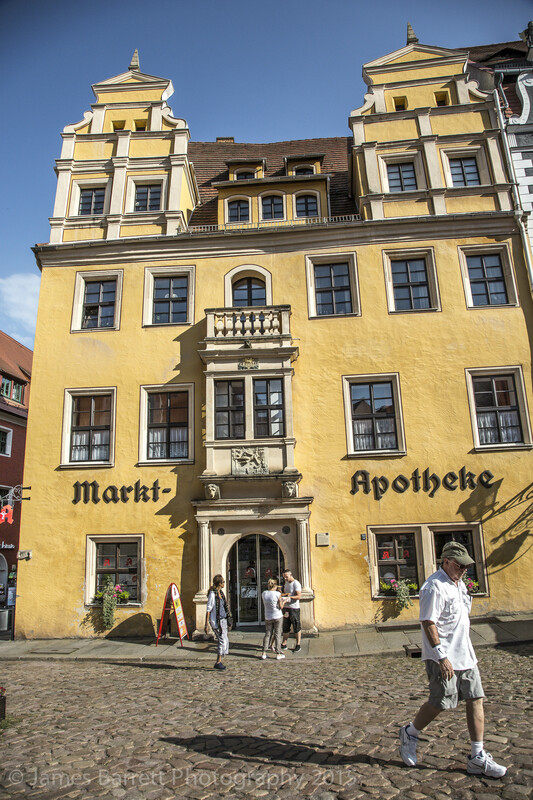 A mathematician and scientist, Tschirnhaus, had independently attempted to make glass and porcelain and, by 1707 supervised Bottger in this enterprise. Bottger apparently obtained Tschirnhaus’ recipe upon his untimely death and within one week Bottger announced that he could make porcelain. With the aid of Dutch co-workers with expertise in firing and painting tiles, manufacturing porcelain in Europe was soon underway. Our tour of the facility introduced us to several talented workers who hand make various porcelain objects. 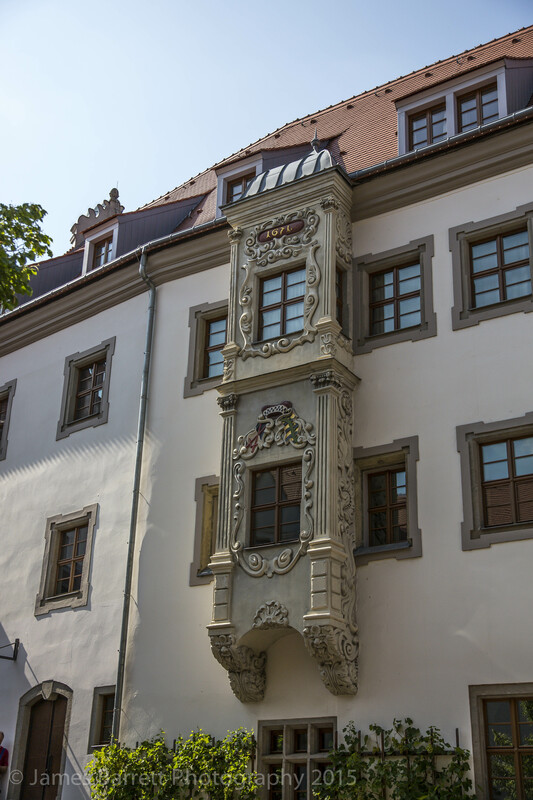 We visited the museum where examples of Meissen porcelain from 1710 were displayed. 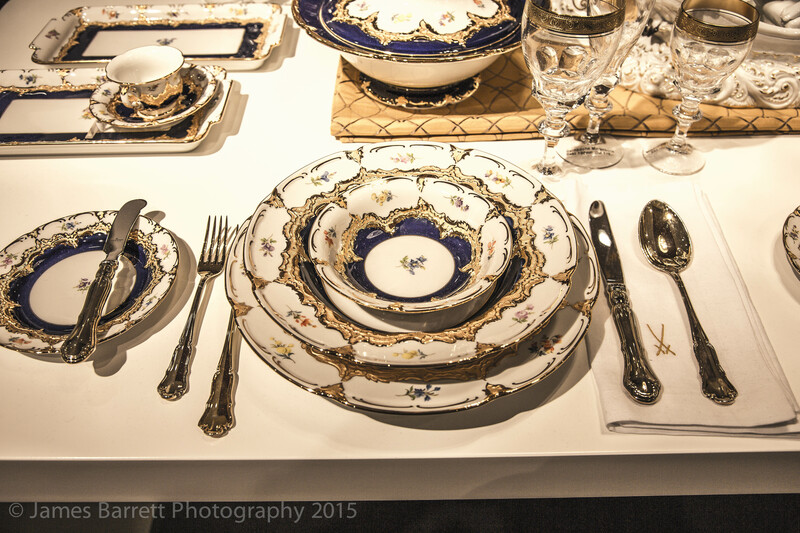 http://www.meissen.com/en Check out the tableware. I purchased a pair of espresso cups with saucers of the “wave” design. 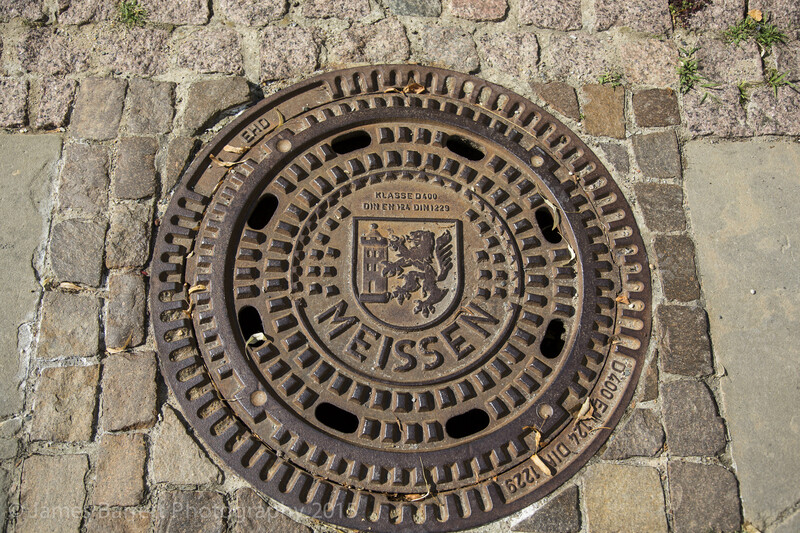 As you know, Meissen was part of what we know as East Germany/Soviet zone following WWII. This meant that skilled workers, forms used in making porcelain, and everything except some kilns were transported to Russia “to pay war reparations”. It is a tribute to the Teutonic spirit that already by 1946, production could resume and provided the economically troubled East German system with a rare profit center. 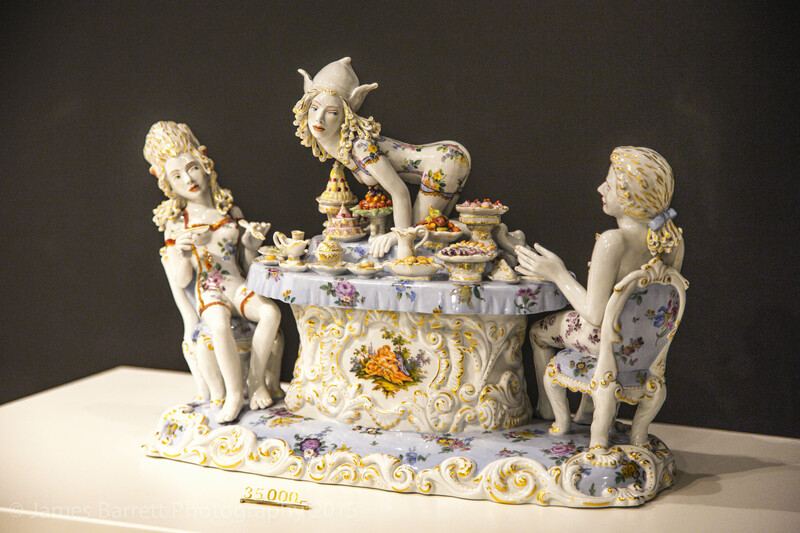 https://en.wikipedia.org/wiki/Meissen_porcelain. 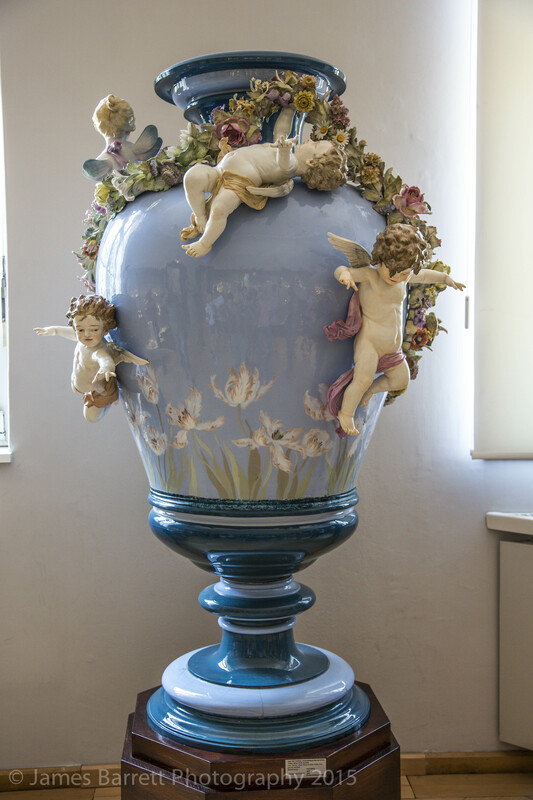 http://www.meissen.com/en/about-meissen®/our-tradition. 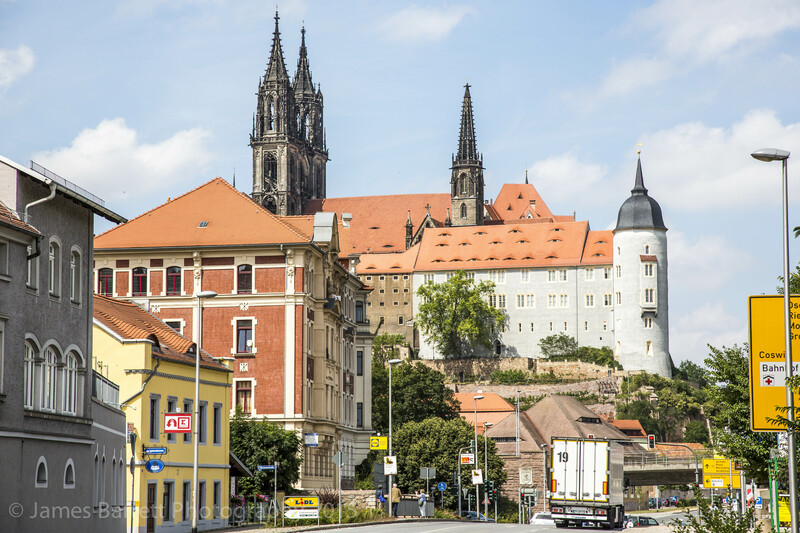 Crossing the street from the Meissen showroom to our bus, I saw a sign of the indomitable German spirit: the green crossing light “walk” figure was an image with its head held high. This was a light system installed by the East German government, and now retained as it is emblematic. 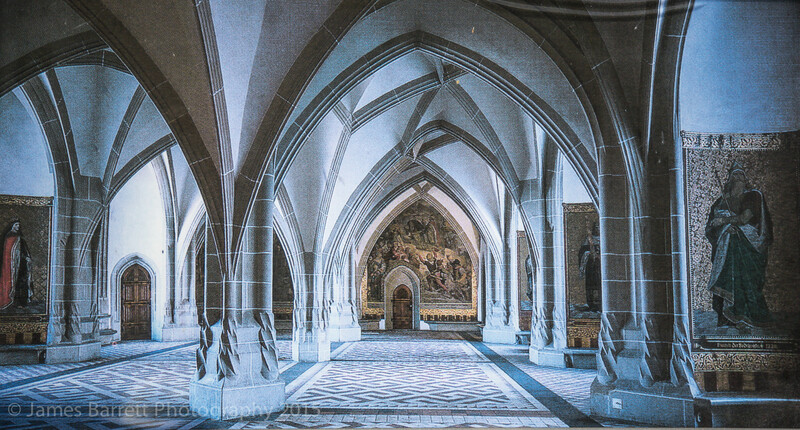 Our walking tour took us to Meissen Cathedral https://en.wikipedia.org/wiki/Meissen_Cathedral and the Evangelische Akademie, both Lutheran organizations which function on the national and international stages https://www.lutheranworld.org . 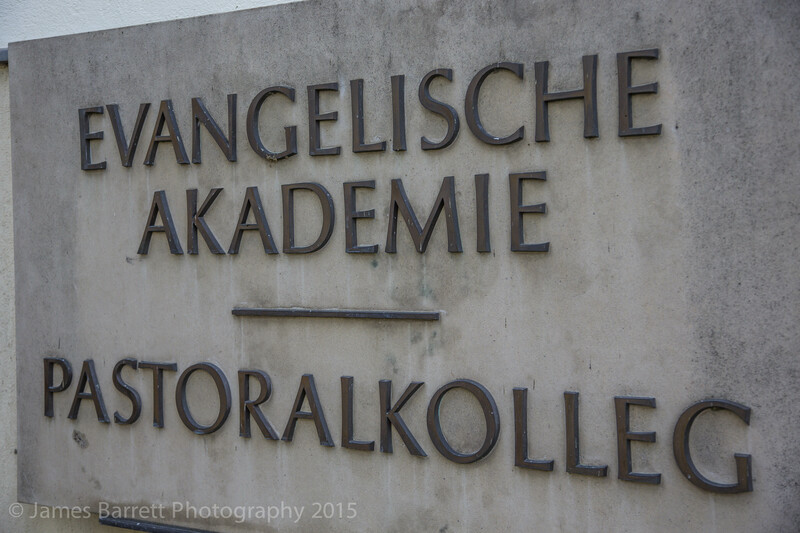 At a meeting of church representatives at the Evangelische Akademie on January 29, 1991, The Meissen Agreement http://www.anglican-lutheran-society.org/Johannesdottir%20Presentation.pdf was drafted as a declaration between the Church of England and the Evangelical Churches in the Federal Republic of Germany of their commitment to strive together for full, visible unity. 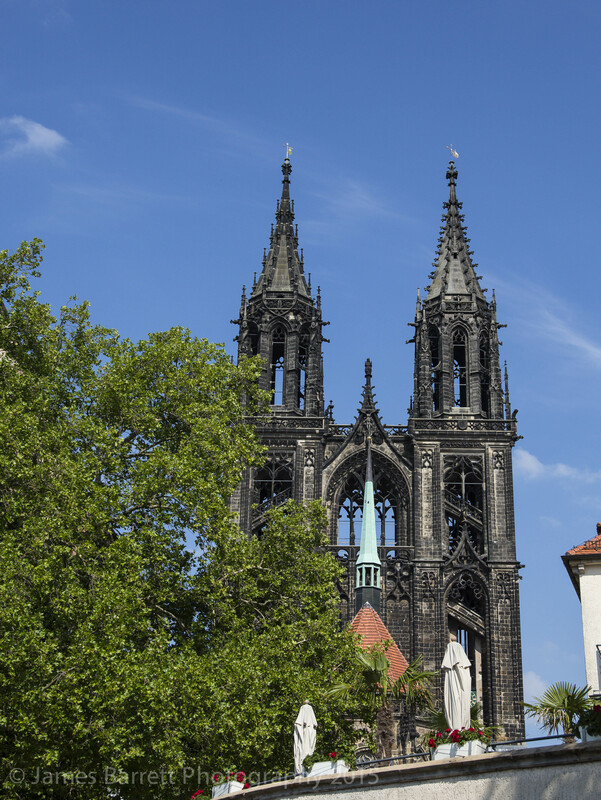 On September 16, 1999, The Evangelische Akademie (Evangelical Academy) hosted the Evangelical Lutheran Church of Saxony http://archive.wfn.org/1999/09/msg00144.html to finalize The Meissen Agreement clarifying the role of clergy in ecumenical worship. 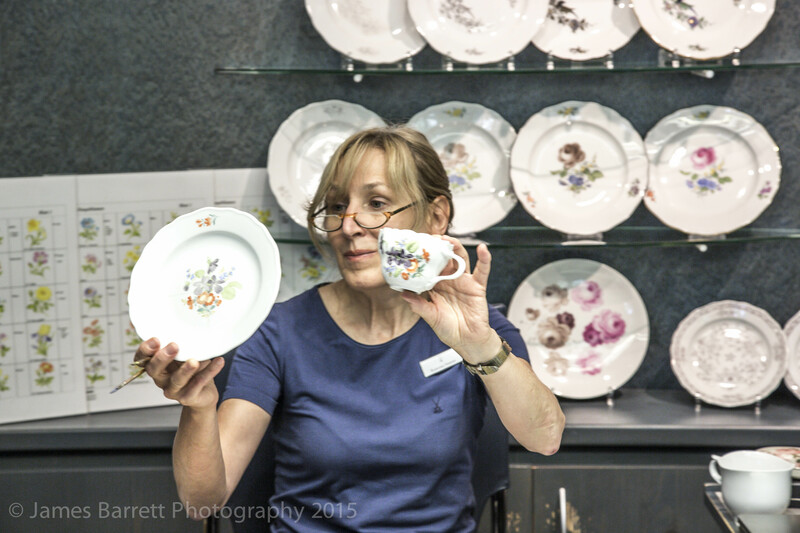 This is a demonstration of hand painting the various patterns on tableware. 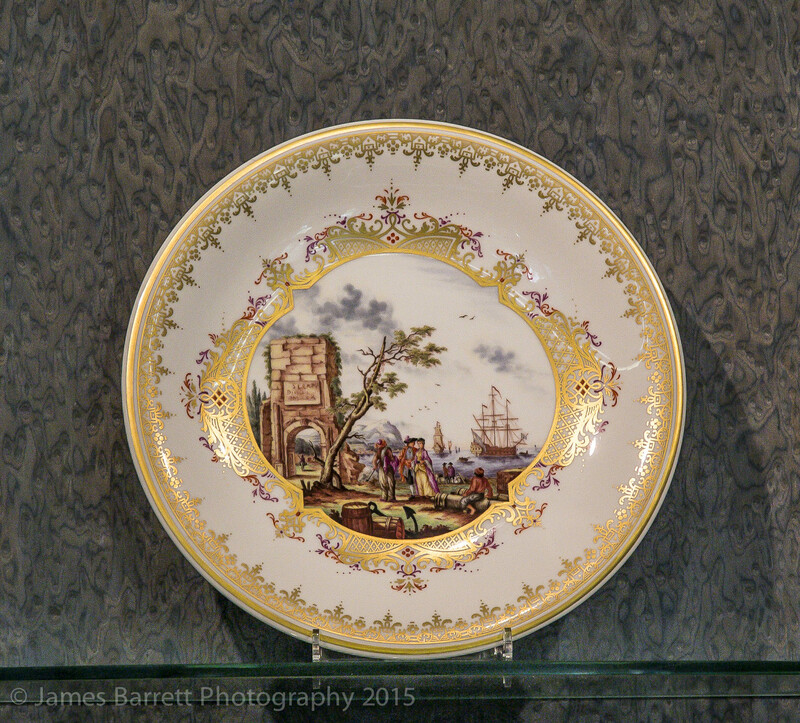 A plate, displayed above the lady shown above, all hand painted. 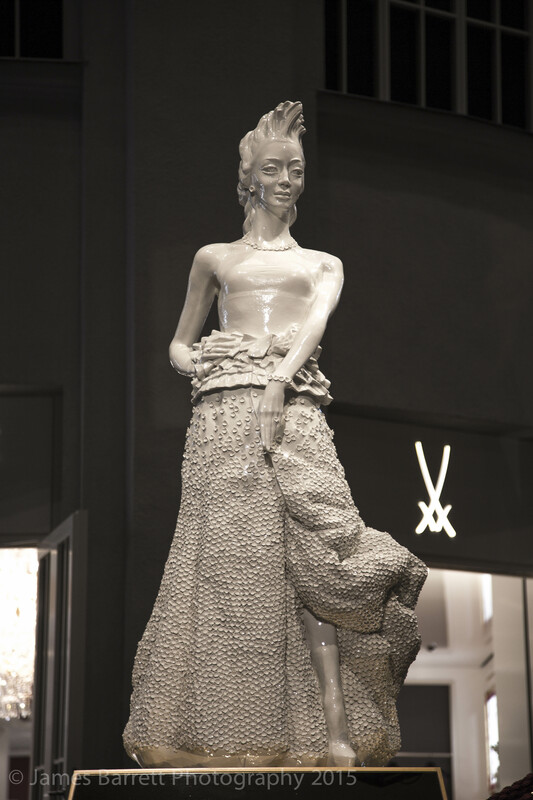 This porcelain statue stands at the entrance to the museum and gift shop. A poor representation of the majestic table setting. I couldn’t seem to get the color perfect. This vase is a beauty. A bawdy representation of a gourmand’s delight. Women with, men without clothes. Head up! Emblematic of the German spirit even under Soviet control. View from the Elbe showing the Meissen Cathedral (Dom) and Albrechtsburg Castle. 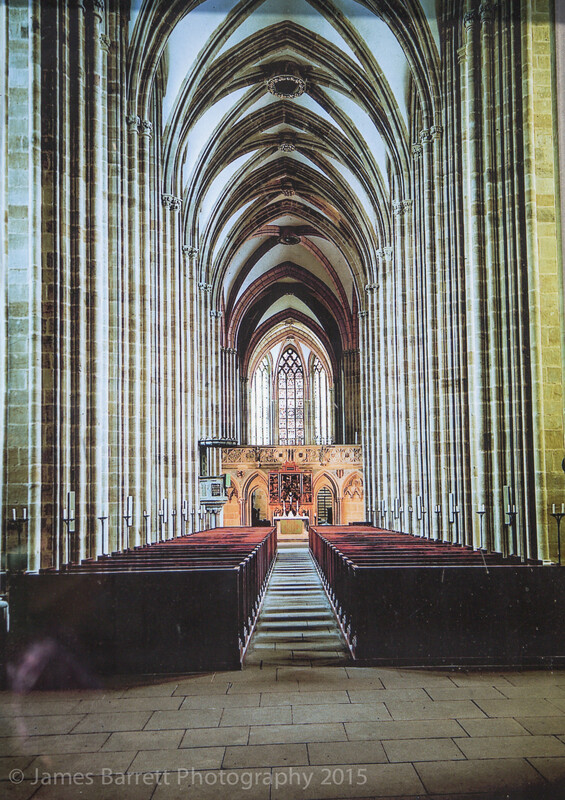 These two shots are of a poster showing the inside of the cathedral. 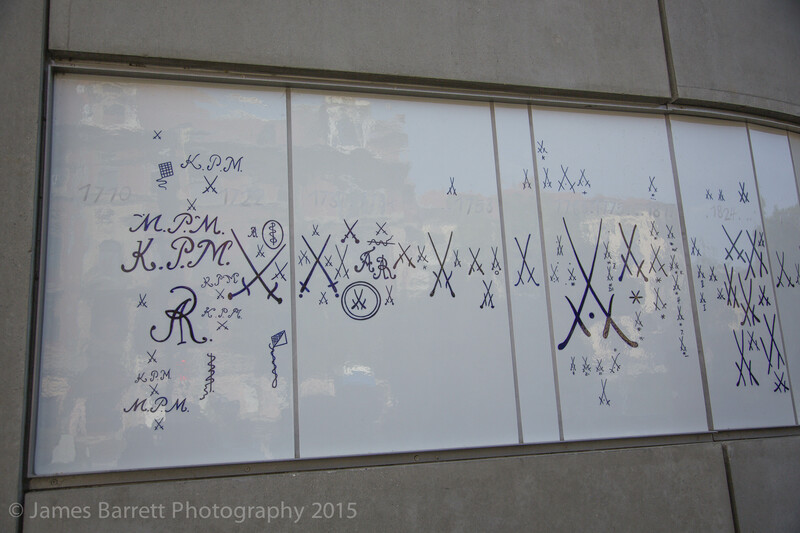 A shot of the Akademie from the courtyard. Established in 1671. Well, just another bit of German art. 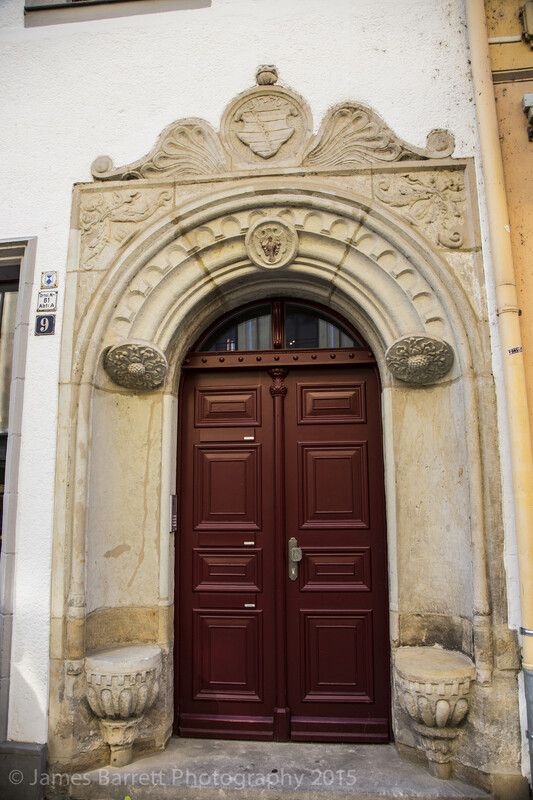 In Meissen as in Wittenberg, there is entrance seating available. 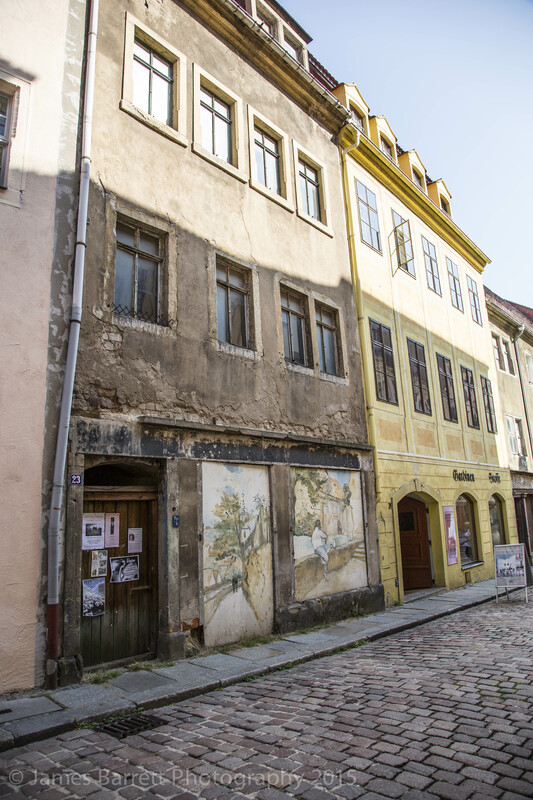 The next shot shows how buildings during the Soviet occupation became run down due to lack of income and supplies to maintain them. 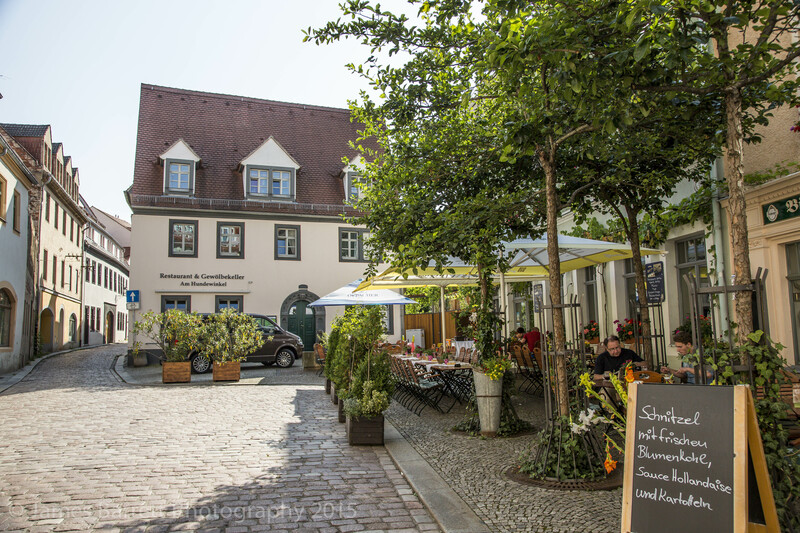 Under the Democratic Republic of Germany, buildings have been restored. 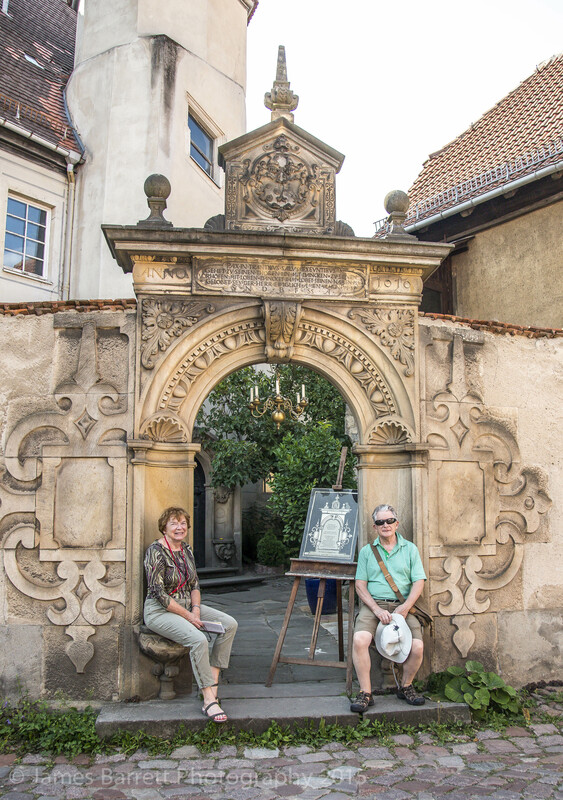 Looking just under the vernier shown to tourists reveals a city which has a rich history and vibrant culture – as is usually the case.